I’m starting to see some analysts beginning to panic because the 50 day moving average on gold has dropped below the 200 day moving average. The so called death cross. However if these guys would do their research they would know that this is an almost completely worthless signal. Yes there must at some point be a death cross before every bear market, but it’s such an erratic signal that one could get 10 false signals before a meaningful one arrives. If something only works 1 out of 10 times is it really worth monitoring? In a sideways market there are likely to be lots of crosses back and forth. And when a cross occurs late in an intermediate cycle the odds of it producing a false signal are high. That’s the current situation in gold right now. 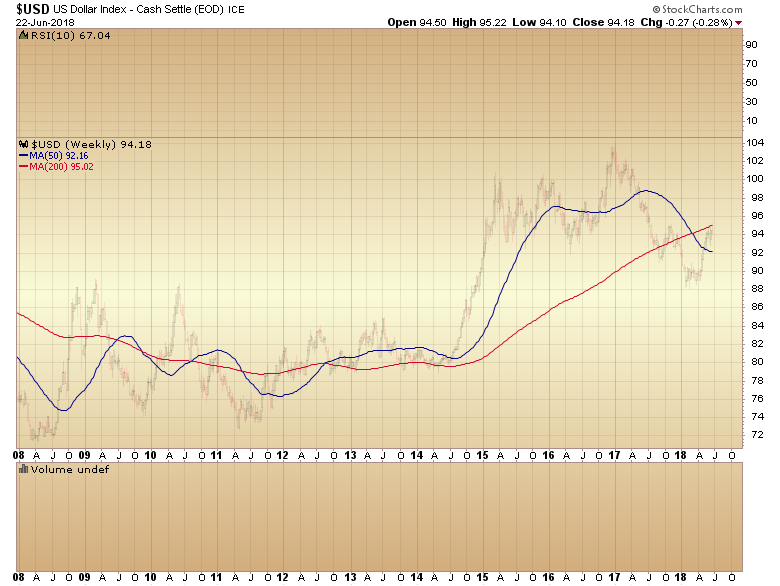 Gold is 28 weeks into it’s intermediate cycle. It’s oversold and due for an intermediate rally. This is one of those times where a death cross is likely occurring right as the bottom is being put in. A more reliable signal is a cross on the weekly charts. There are a lot fewer false signals on the weekly charts. The weekly charts paint a different picture. 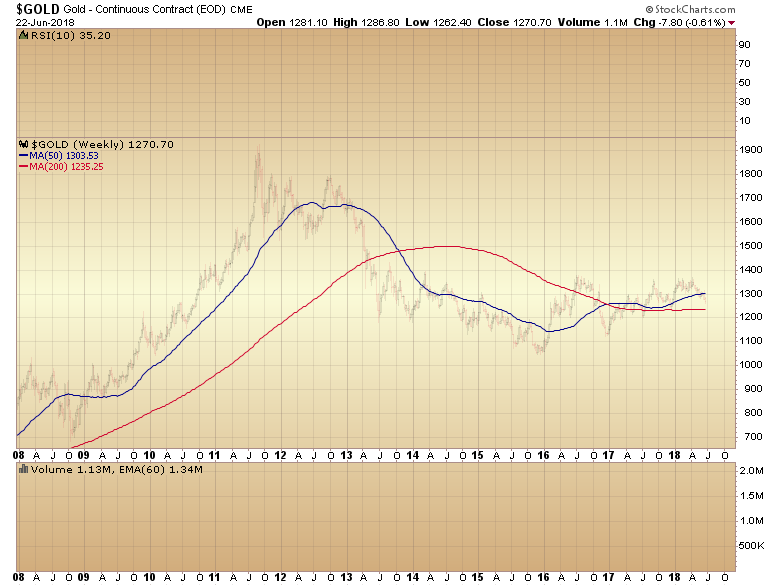 Instead of a death cross gold has completed a golden cross, Usually a sign that a new bull market has begun. On the other hand look at the market that has signaled a death cross and potential bear market. This entry was posted in Uncategorized on June 24, 2018 by Gary.